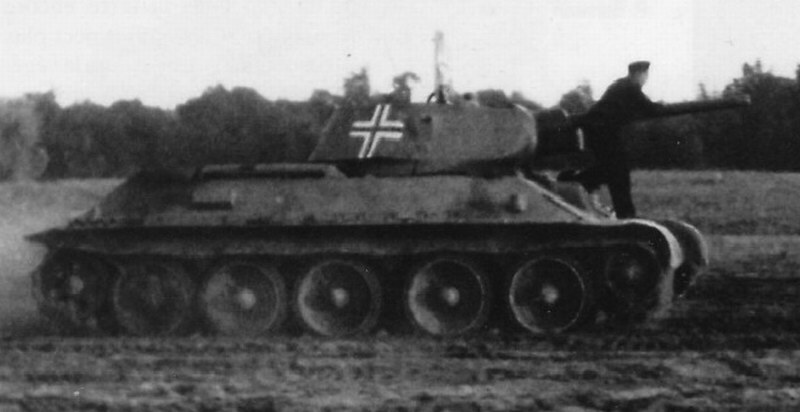 Early T-34 probably with monocular periscope from Pz 38(t) mounted in turret. 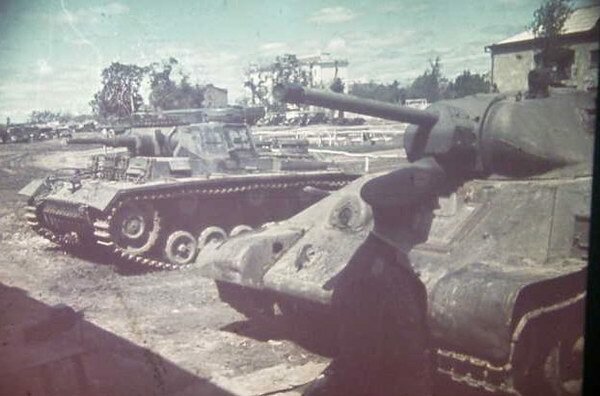 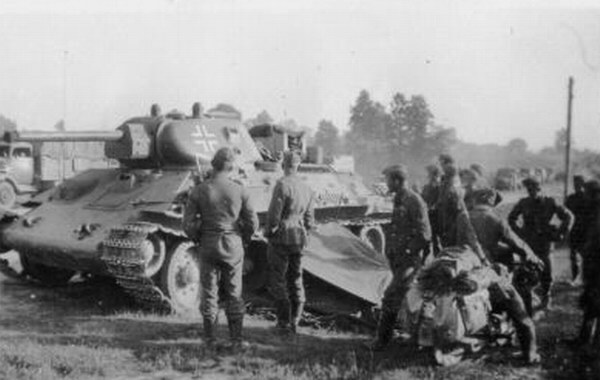 Also on the picture seen fender from another T-34. 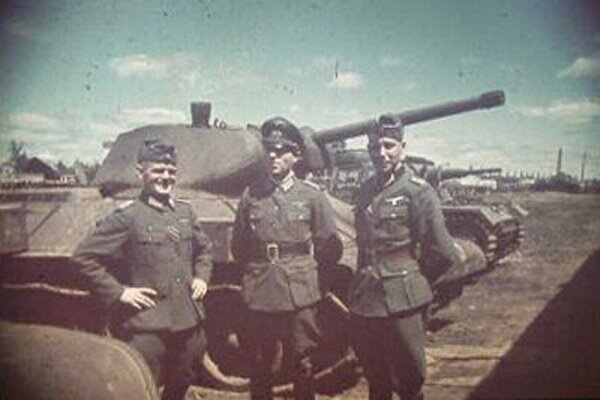 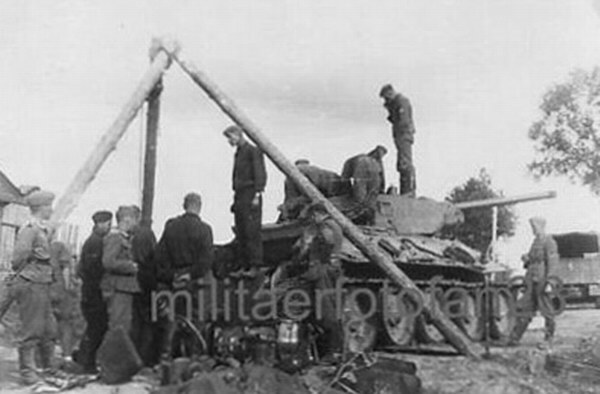 Another picture of another T-34 from same unit.